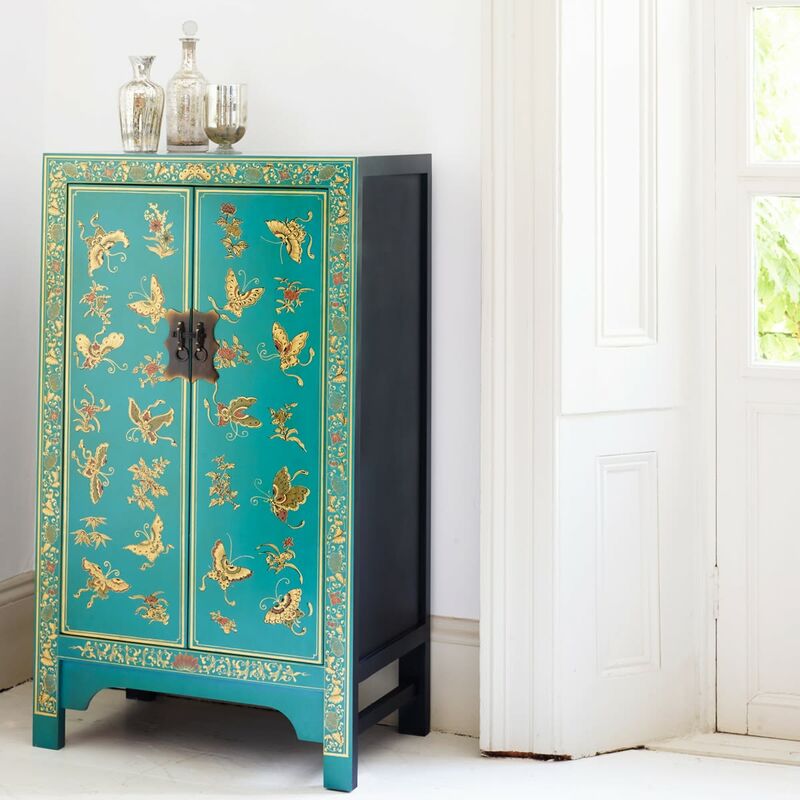 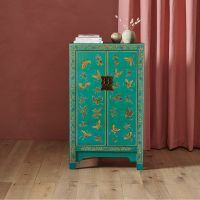 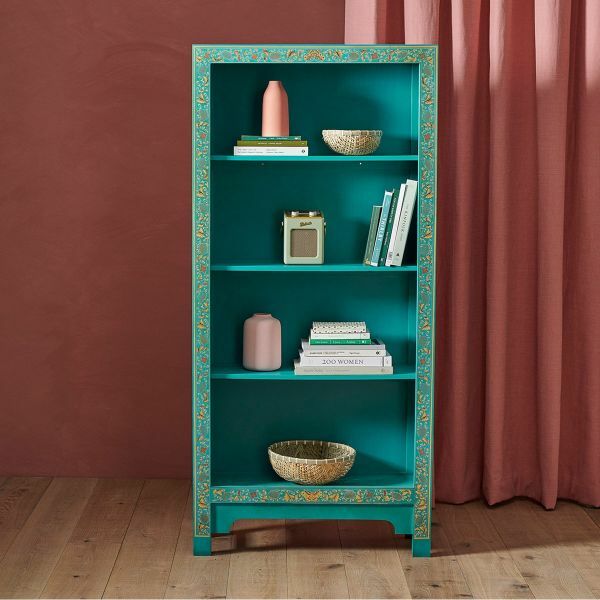 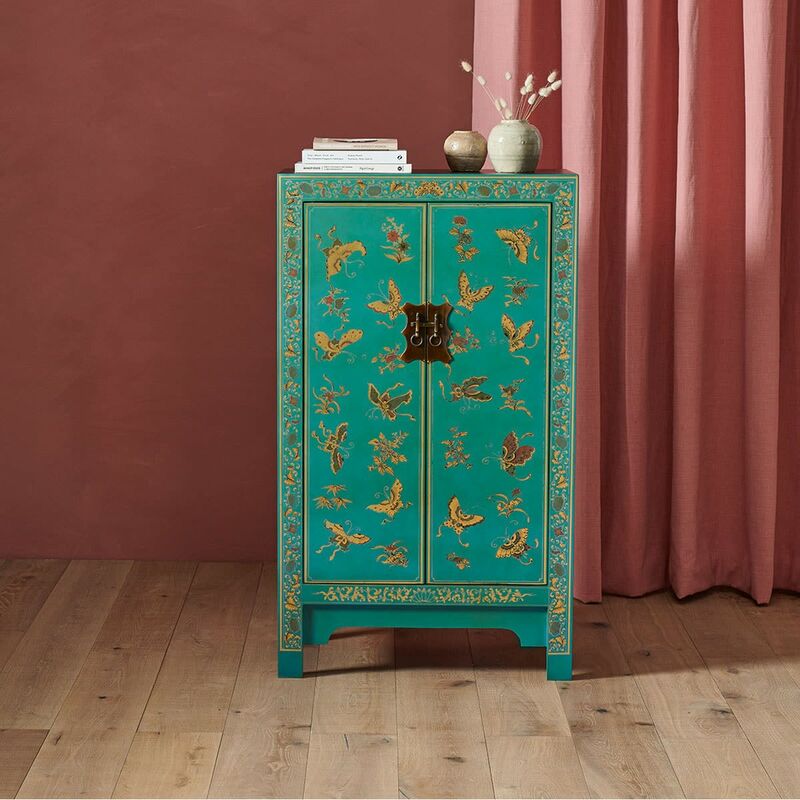 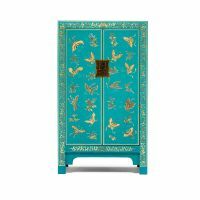 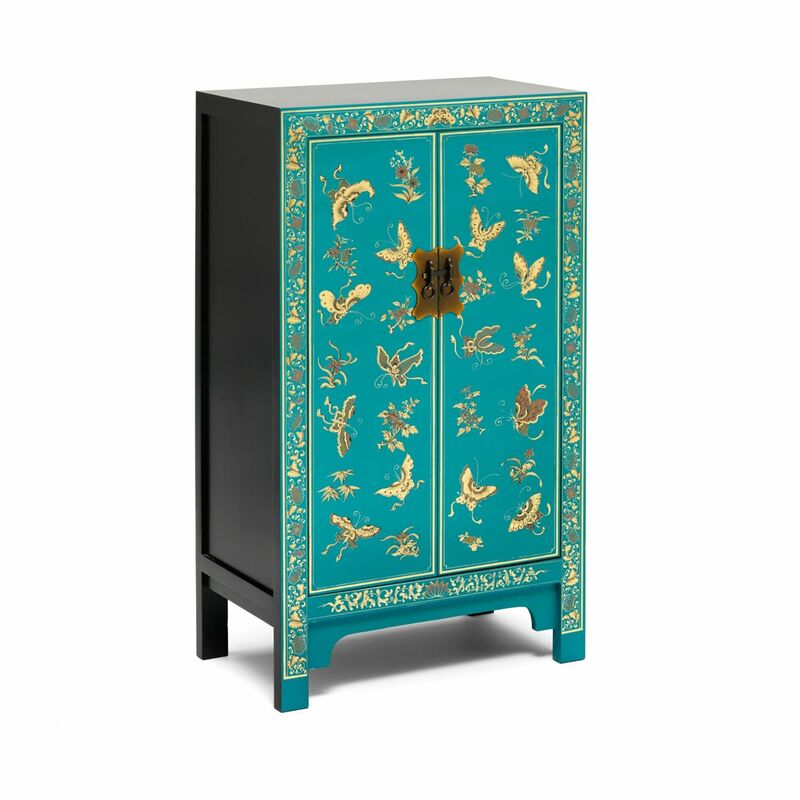 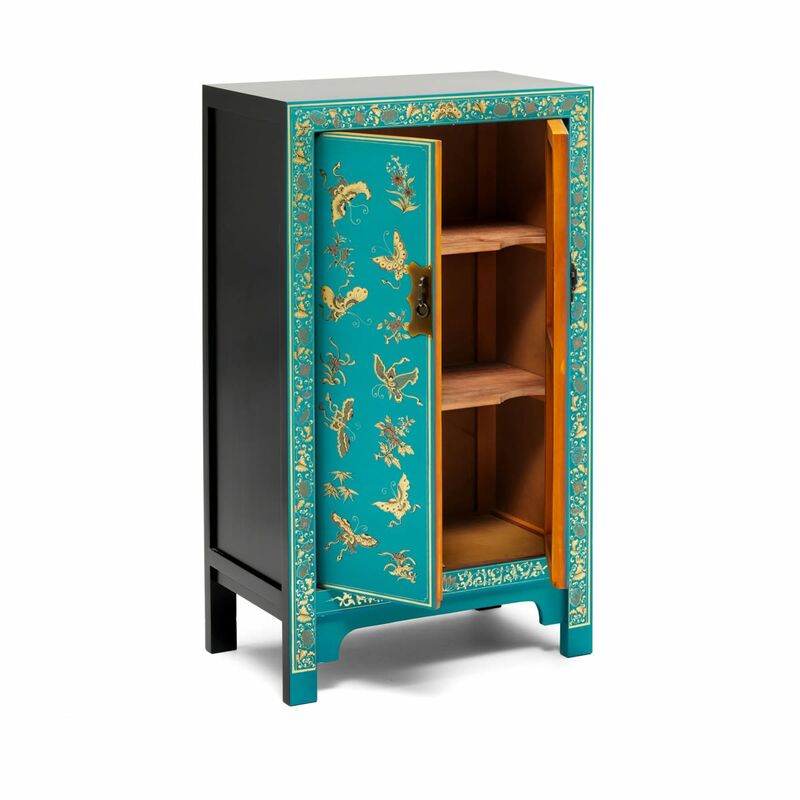 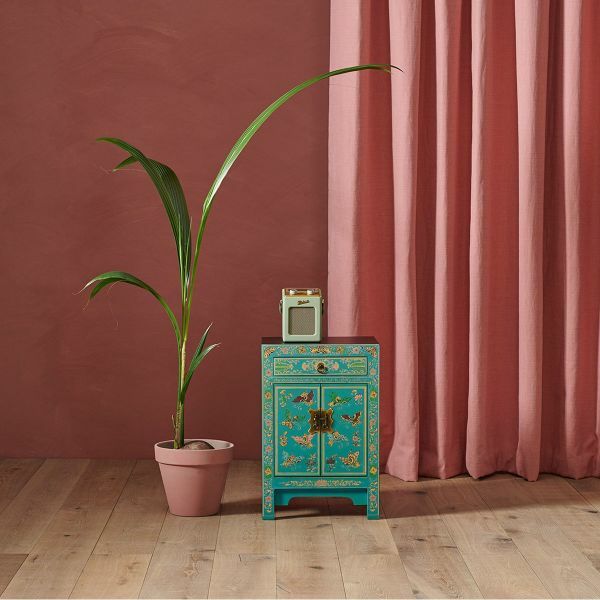 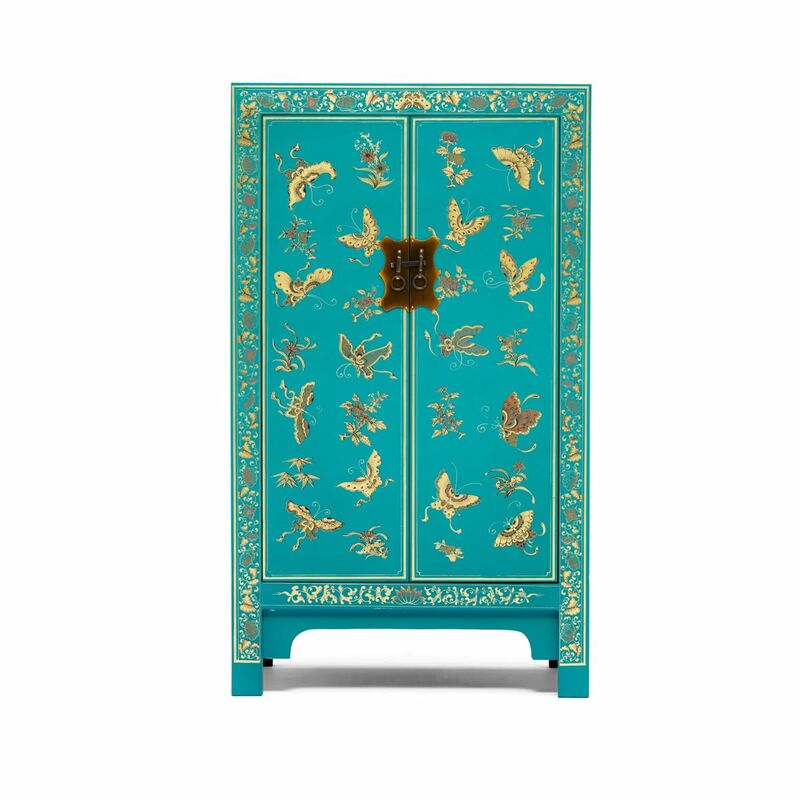 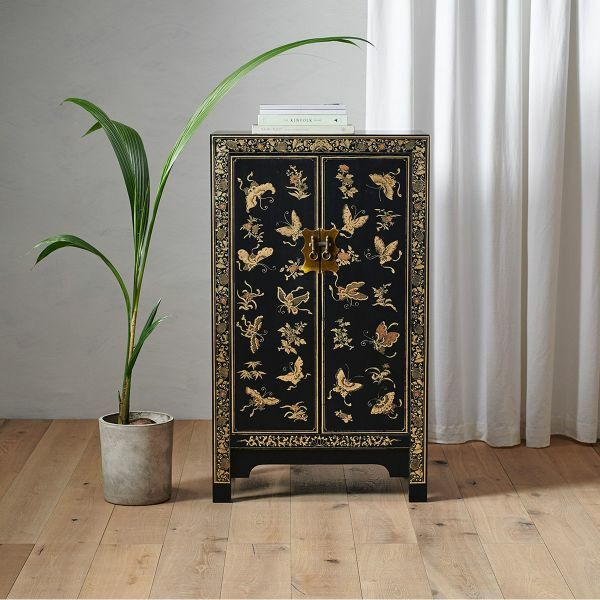 The symmetrical design of this Nine Schools Chinese Collection decorated blue medium cabinet is a traditional design in Feng Shui and symbolises marriage and stability. 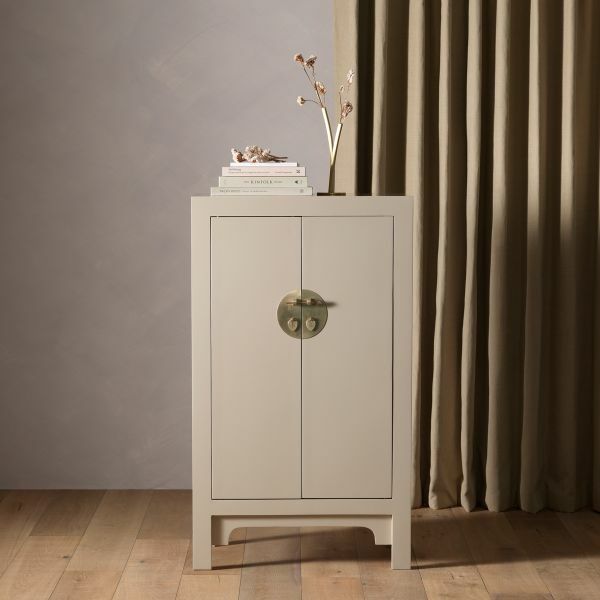 The cabinet would look equally at home in the living room or bedroom and is crafted from poplar wood. 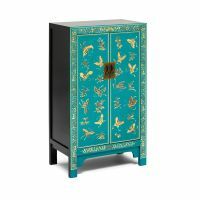 The elegant design is accentuated with a high gloss blue varnish, is beautiful hand finish featuring a traditional butterfly and floral design and is closed with an antiqued metal catch. Inside the cabinet has two removeable shelves and is delivered fully assembled.